L to R: Shiv Aggarwal, Matt Reeves, Lynette Howard, Dr Swati Kulkarni and Mayor Craig Newton. Photo by Vinod Devlia. 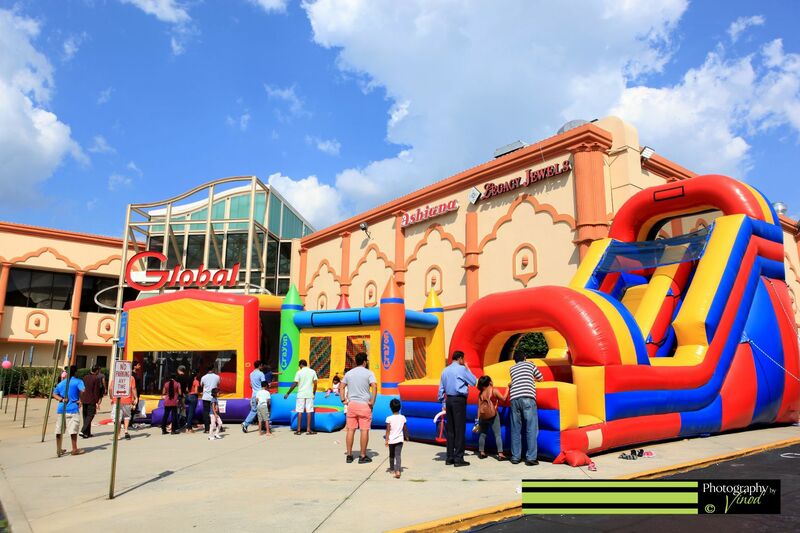 Atlanta, GA, November 9, 2018: The 17th Annual Global Mela was the largest ever attracting over 20,000 community members at the Global Mall inNorcross,Georgiaon Saturday, October 6th and Sunday, October 7th, 2018. 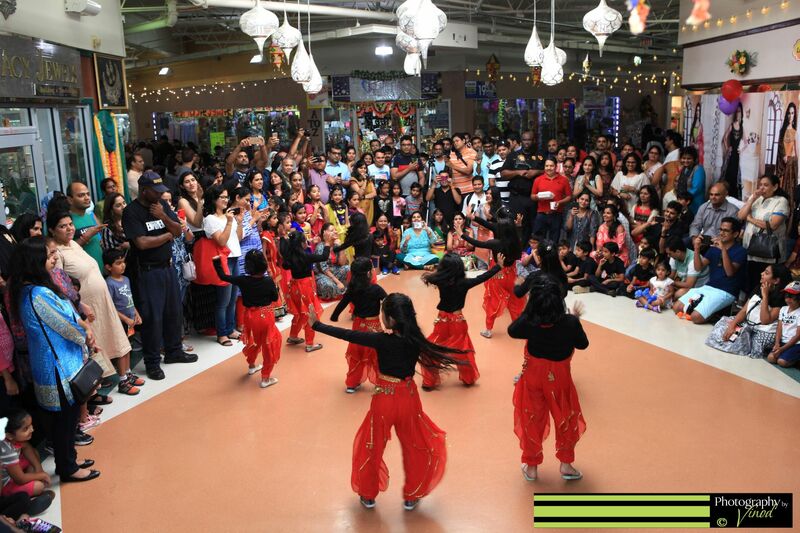 This epic Mela is the largest free carnival event for the South Asian community in the Southeast, with over 50 booth vendors from all over the Southeast plus 60 stores from within the Global Mall. The owner of Global Mall, Shiv Aggarwal started this event 17 years ago to bring the community together to celebrate the rich heritage of the South Asian countries and this year he has successfully brought together the largest gathering of people from all over the Southeast to a fully free and fun-filled carnival weekend! The 2-day event was kicked off with a warm welcome from Shiv Aggarwal and emcee Kiran Sethi with XtraHotDjs Entertainment. The dignitaries joined Aggarwal and his family in Lord Ganesh puja with a lamp lighting ceremony by Siddhi Vinayak Mandir’s pundit Gyan Prakash Upadhyay and Sadhana Mandir’s Pundit Acharya Ved Joshi. The dignitary guests included the Indian Consul General inAtlanta, Dr. Swati Kulkarni, Georgia State Senate Candidate Matt Reeves, City of Norcross Mayor Craig Newton and Gwinnett County Commissioner Lynette Howard. Accompanying the dignitaries were the winners of the 2018 IACA Beauty Pageant – Miss India GA, Rati Sarkar, Miss Teen India GA, Tanvi Gujral and Mrs. India GA Sarika Datta. The other dignitaries too expressed their thanks to Aggarwal and his family and delight in participating in the joyous mela. After the dignitary guests were seated, they were enthralled by two scintillating dances to the popular songs ‘Kanha’ and a medley song ‘Thade Rahiyo’ and Rash ke Qamar’ choreographed by Nritya Natya Kala Bharati’s Founder/Dir. Kumud Savla and her daughter Samta Savla. People were enticed with the aroma of Ashiana’s delectable chat, samosa, pav bhaji, live – fusion Italian station and hakka noodle stations downstairs, while mouthwatering pani-puri and vada pavs were doing brisk business upstairs. The Global Mall food court was bustling all weekend with guests waiting in lines for the Chinese Rasoi, Sri Krishna Vilas, Dawat Express, Mumbai Masala, and Curry on the Go! Global Mall and Legacy Jewels sponsored a handful of free treats and activities for children and some young-at-heart adults, including free popcorn, cotton candy, face painting, and balloon artistry. On the second floor inside theImpactConferenceCenter, The Global Bazaar Exhibition had over 20 Indian apparel, jewelry and accessory booth vendors, and along the hallways of the mall, home décor, houseware, mehndi, arts and handicrafts, travel, insurance, education-services and non-profit vendors had set up their own tables and wares to serve throngs of visitors. Every year, Global Mall & Legacy Jewels sponsors free raffle tickets and entrance gifts to all the attendees. Raffles are run every hour around the clock, and attendees get a chance to win prizes sponsored by Global Mall and Global Mall tenants. 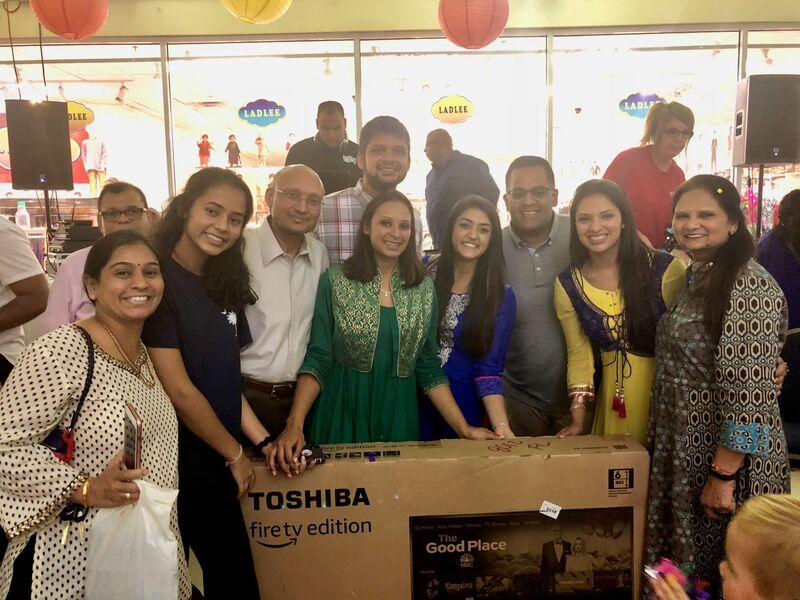 On Saturday and Sunday evening,Georgia’s largest Indian clothing store, Ladlee raffled out free outfits and the Global Mall family ran the Mega Prize Raffle with prizes donated by Global Mall tenants and management including a Kindle Fire and large flat screen TV. The weekend-long cultural show was an added treat for the visitors! Lively entertainment was provided on both days by the young and talented students from Global Mall’s premier dance schools, Prem’s Dance Studio and Nritya Natya Kala Bharti along with Atlanta based local artists who performed a variety of dance, songs and music items. This year there was a special performance by one of the best bands fromIndia, ‘Indie Routes’ brought toAtlantaby Global Mall tenant, Paracha Entertainment. From Rafi to Rahat-they enchanted the audience with their melodious voice and beats to the chartbuster Bollywood songs! Global Mall Clothing and Jewelry tenant, Sushma Patel presented a magnificent glamorous fashion show with her line of internationally acclaimed designs. The fashionistas were glammed up by Blush Beauty by Nadia as they elegantly sashayed in the show curated by Prem Rahman. As each gorgeous young model took to the ramp, the crowd cheered, clapped and the cameras clicked. 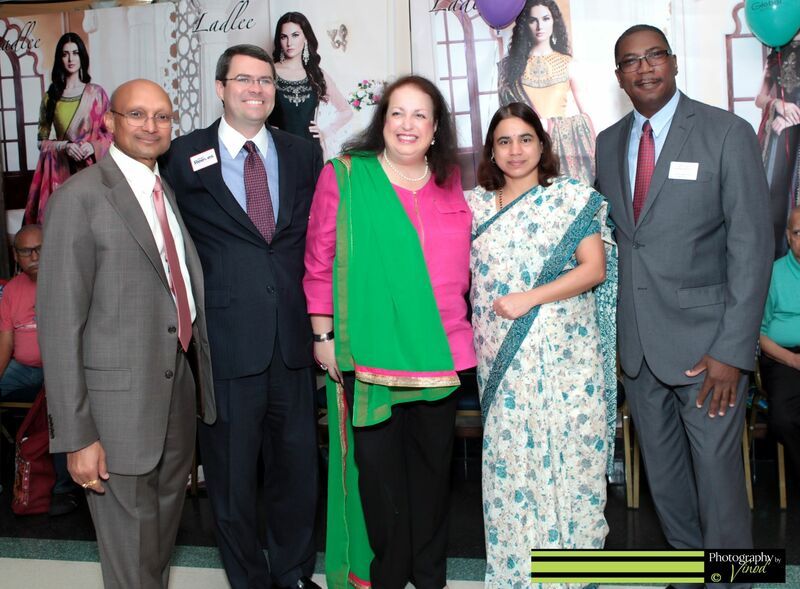 This year’s Global Mela’s fashion show was once again a super hit!